This Bi-Office Noticeboard features fire retardant blue felt and a plastic frame with a smart aluminium-look finish. 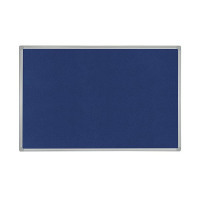 Pefect for displays, notices, presentations and more, the noticeboard features blue corner caps to conceal the fixings. 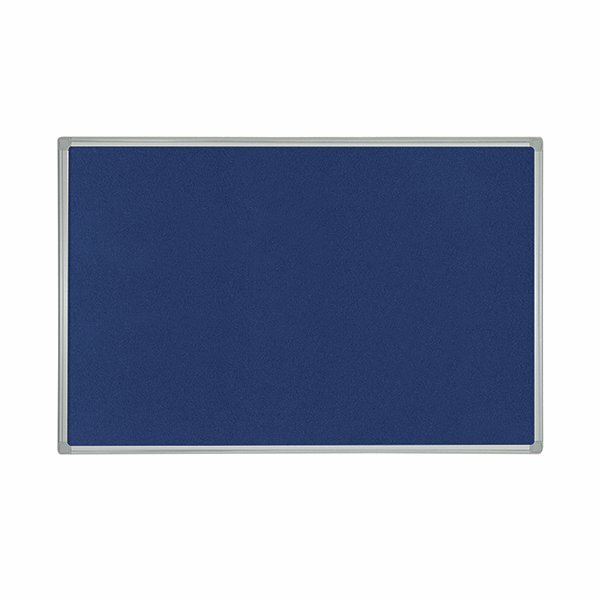 This blue noticeboard measures 900 x 600mm. Please note: although the felt is flame retardant, the board itself is not.